This Paediatric First Aid Course is a two day course recommended by OFSTED and designed for people who look after babies and children up to the age of puberty. It meets the standards for Paediatric First Aid Training for the revised Early Years Foundation Stage. The Level 3 Paediatric First Aid Training Course is a combination of classroom based learning and also hands on practical instruction. 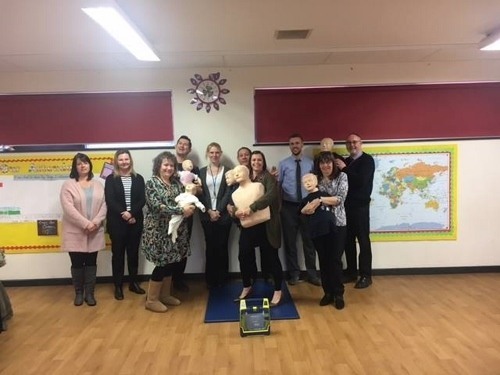 The course focuses on emergency scenarios that are faced by professionals, including teachers, au pairs and playgroup leaders, looking after babies and young children up to the age of puberty. It meets Ofsted requirements for registered childminders and the requirements for nannies under the Approved Carers Scheme. It can also be used as evidence for employees working towards an NVQ in Childcare and Education. The Paediatric First Aid Training Course can be held at our bespoke training centre or your premises. What does the Paediatric First Aid Course cover? Recognise and deal with a range of common injuries and illnesses until the arrival of the emergency services including: Foreign bodies, poisoning, electric shock, hypoglycaemia, sprains and strains, conjunctivitis, sickle cell anaemia, aches and pains, diarrhoea and vomiting, meningitis, chicken pox, measles, German measles, mumps. Who are Paediatric First Aid Courses for? This Level 3 Paediatric First Aid Course qualification is ideal for all staff who work with children in a childcare setting, including nurseries, day care centres and childminders. An accredited Level 2 in Paediatric First Aid is also available. Please contact us for details. Our Paediatric First Aid Courses is a 2 day course, after completion participants will be covered immediately. Continual assessment throughout the course by the tutor and a multiple choice assessment paper. A Paediatric First Aid certificate is issued to all who successfully show their competence.